The pairing of Pulte Homes Inc. and Dallas-based Centex Corp. comes at a time when buyers continue to be leery of big-ticket purchases. Pulte Homes Inc. agreed to acquire Dallas-based Centex Corp. Wednesday in a stock-for-stock deal valued at $1.3 billion that will create the nation's largest homebuilding company. The transaction, which also includes $1.8 billion of debt, will give the combined business a strong liquidity position with more than $3.4 billion in cash as of March 31. The pairing of Pulte and Centex comes at a time when homebuilders are still struggling to find their footing as credit remains tight and buyers continue to be leery of big-ticket purchases. The industry in turn has attempted to stem the bleeding by drastically scaling back new construction and throwing more incentives at potential buyers in order to unload existing inventory. Pulte President and Chief Executive Officer Richard J. Dugas Jr. was optimistic that the combination "puts us in an excellent position to navigate through the current housing downturn." As part of the deal, Centex shareholders will receive 0.975 shares of Pulte common stock for each share of Centex that they own. The transaction is valued at $10.50 per Centex share based on Pulte's Tuesday closing stock price of $10.77. That represents a 38 percent premium to Centex's closing price of $7.62 Tuesday. Shares of Centex soared $1.76, or 23.1 percent, to $9.38 in premarket activity, while Pulte stock sank 96 cents, or 8.9 percent, to $9.81. Centex had approximately 124.4 million shares outstanding for the quarter ended Dec. 31, 2008. The companies called the deal a merger, but Pulte stockholders will own about 68 percent of the combined business and Centex shareholders will own the remaining 32 percent. The acquisition comes a little over a month after Pulte adopted a shareholder rights plan to help preserve the value of some deferred tax assets generated by net operating losses, as well as other tax benefits. Pulte said it enacted the rights plan to decrease the likelihood of "an unintended ownership change." The plan was not adopted as an anti-takeover measure, it added. The combined company will use the Pulte name and will be based in Bloomfield Hills, Mich., the current headquarters of Pulte. The companies said the business plans to maintain a significant presence in Dallas, where Centex is based. Upon completion of the transaction, Dugas will assume the positions of chairman, president and chief executive officer of Pulte Inc. While the transaction is geared toward helping the companies make their way out of the housing downturn, it also is expected to save Pulte about $350 million a year. That includes $250 million in overhead costs and $100 million from the anticipated retirement of more than $1 billion in debt by the end of the year. The newly combined company will have access to more than 59 U.S. markets and gives Pulte access to Centex's land holdings in Texas as well as North and South Carolina. Pulte and Centex contend that the deal will help them capitalize on what many see as a bit of an uptick in the housing market. Last month the Commerce Department said new home sales climbed 4.7 percent in February, providing some hope that the sales may have reached their bottom and are on their way toward a recovery. "We believe this is the right combination at the right time in the business cycle. By acting decisively now, we're creating unrivaled firepower to capitalize on the opportunities in homebuilding that are now becoming visible on the horizon," Centex Chairman and CEO Timothy Eller said in a statement. Eller will become Pulte's vice chairman and will also work as a consultant for two years following the acquisition's completion. Aside from Eller, Pulte's board will be expanded and will include three other Centex board members. It will also include eight members of Pulte's current board, including founder and Chairman William J. Pulte. 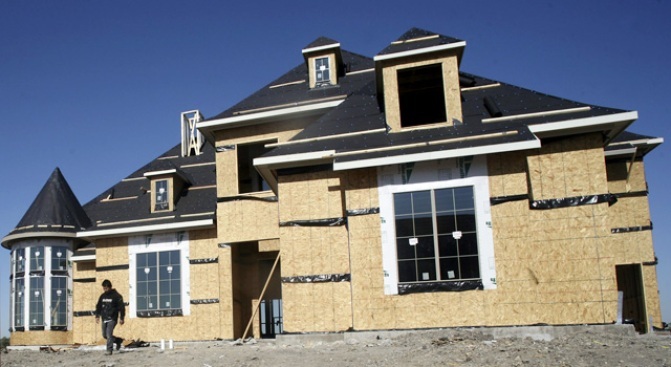 The acquisition, which was unanimously approved by both homebuilders' boards, is expected to close in the third quarter. It is expected to qualify as a tax-free reorganization.